It’s flu season in Connecticut and it’s time to get your flu shot! Older adults have a higher risk of serious flu complications and some these risks can be deadly. The CDC wants seniors over the age of 65 to fight the flu with an annual flu shot. You can reduce your risks for hospitalization with a simple trip to your local CVS and Walgreens pharmacy. If you are a senior and need transportation or assistance to get a flu shot call 860-524-8550 today. FACT: Having Seasonal Flu as a senior can make long-term health problems worse, even if they are well managed. Having diabetes, COPD, heart disease, kidney and liver disorders can increase the risks and complications of having influenza. It is very important that those adults over the age of 65 with chronic disorders get the flu shot as early as possible. FACT: Vaccination is the best way to prevent flu and its potentially serious complications in people 65 and older. It’s known that the flu vaccine is the smartest option to prevent illness and hospitalization. Some people may get the flu after receiving the flu shot but their symptoms are significantly reduced. A high dose flu vaccine: (Fluzone® High-Dose) contains 4 times the amount of antigen as a regular flu shot. This is ideal for the elderly during the flu season. The additional antigen creates a stronger immune response (more antibody) in the person getting vaccinated. An adjuvanted vaccine: (FLAUD™) is a standard dose flu vaccine with an adjuvant added. An adjuvant is an ingredient added to a vaccine to help create a stronger immune response vaccination. If you have flu symptoms–even if you had a flu shot — call your doctor, nurse, or clinic. 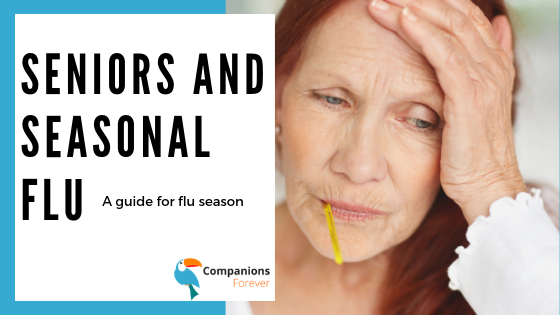 As an older adult, your doctor can prescribe additional medicine and antiviral drugs to treat the flu and lessen the chances of serious illness. 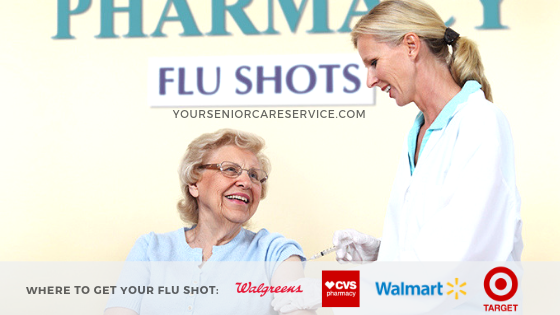 Use this flu shot locator: http://www.fluzone.com/locator-map.cfm or visit these following stores….for most seniors, the flu vaccine is free.